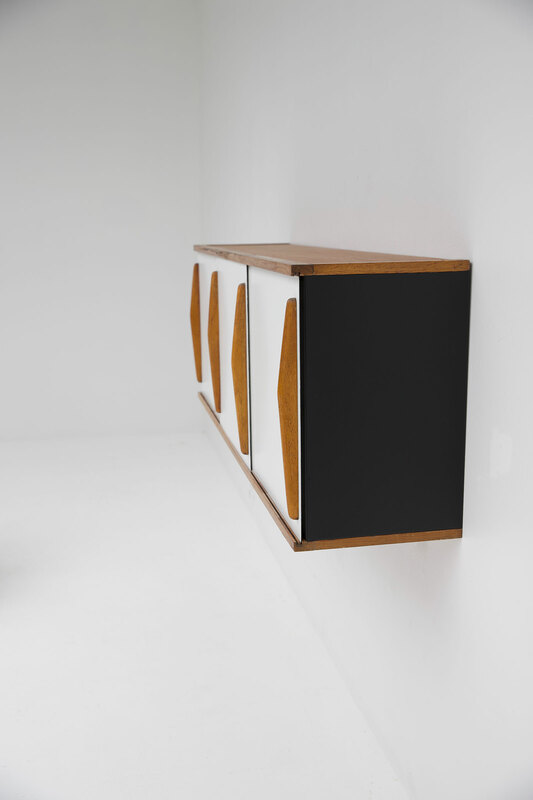 Rare Willy Van Der Meeren wall mounted cabinet produced by Tubax in the 50s. 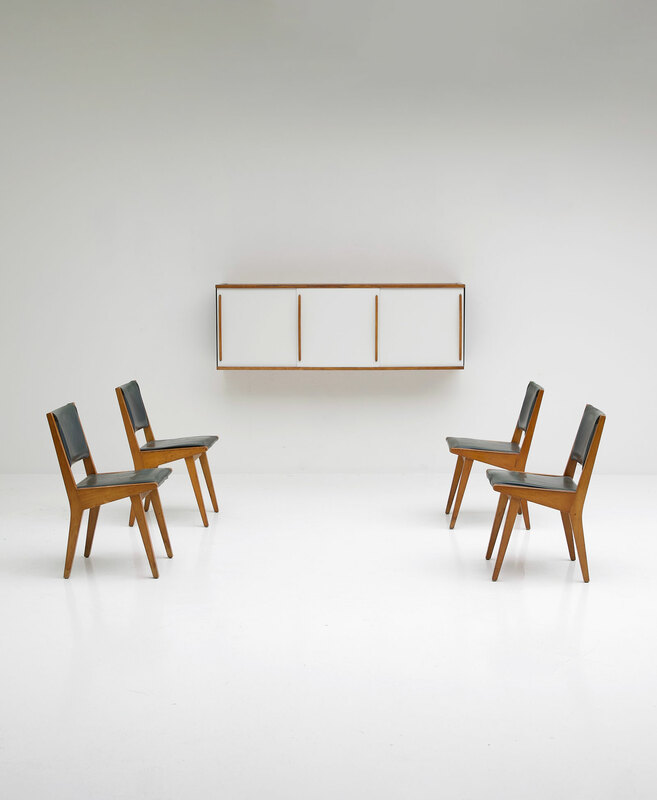 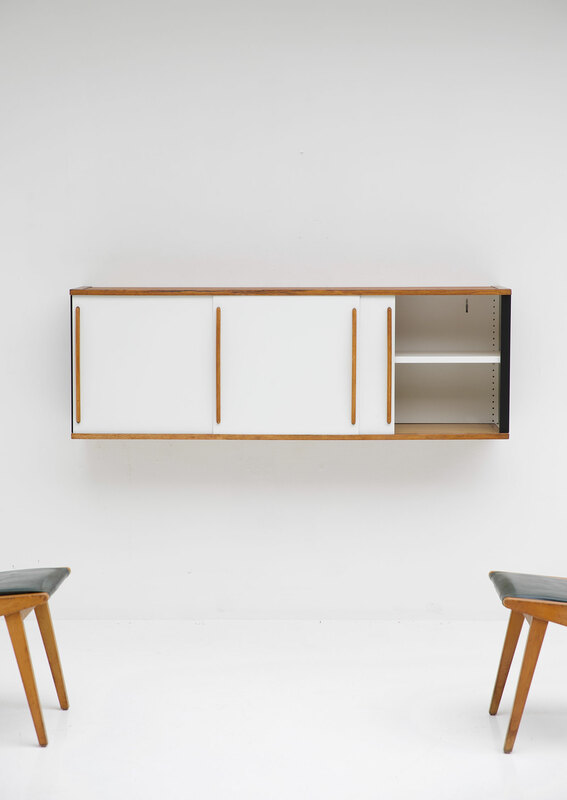 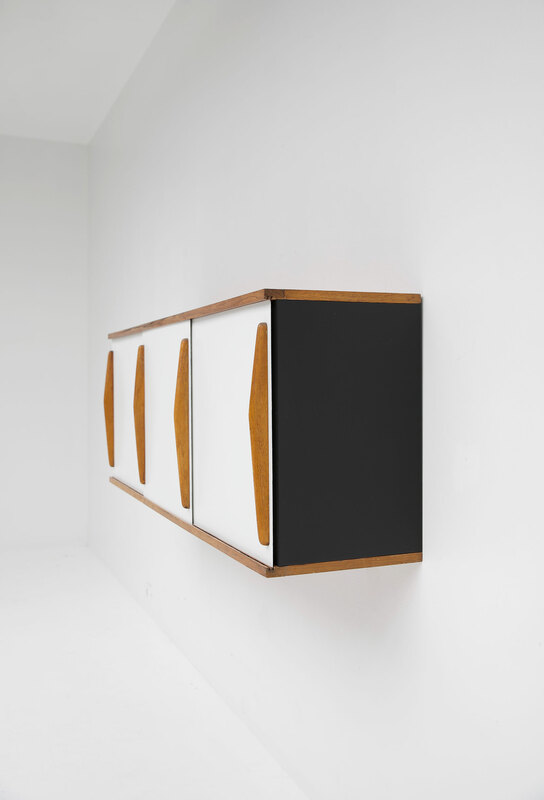 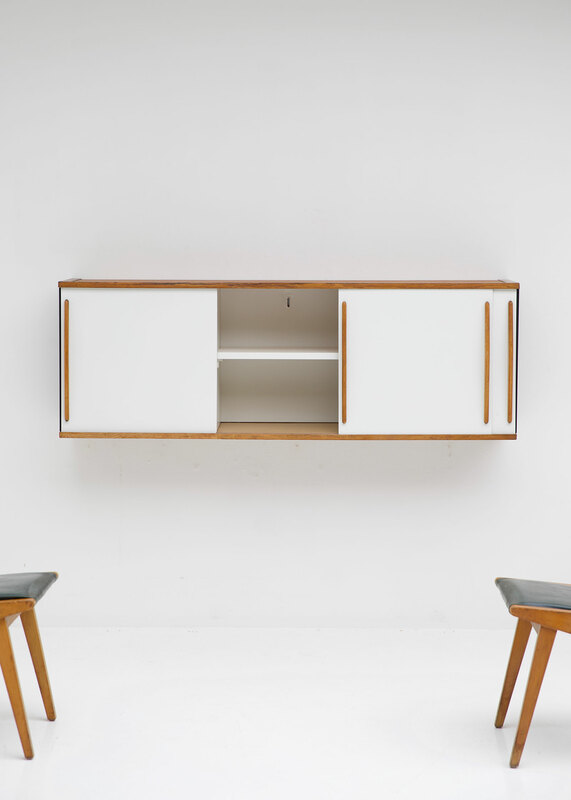 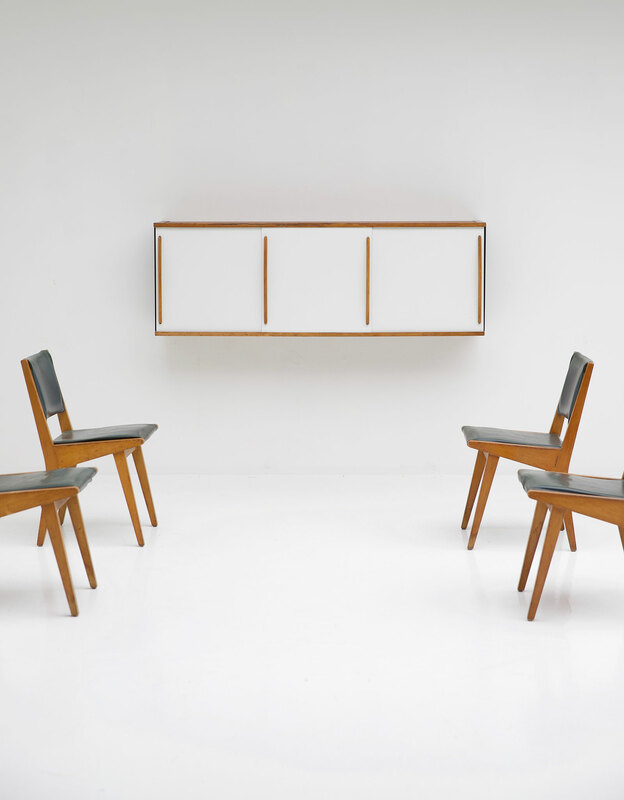 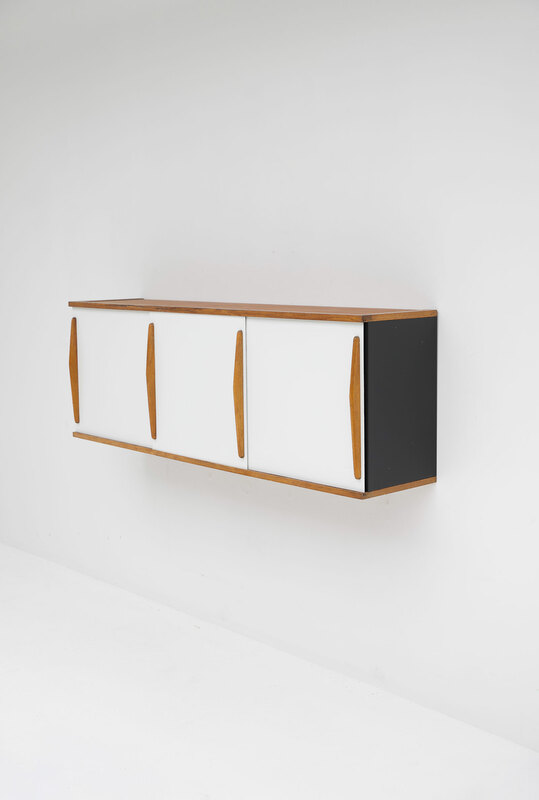 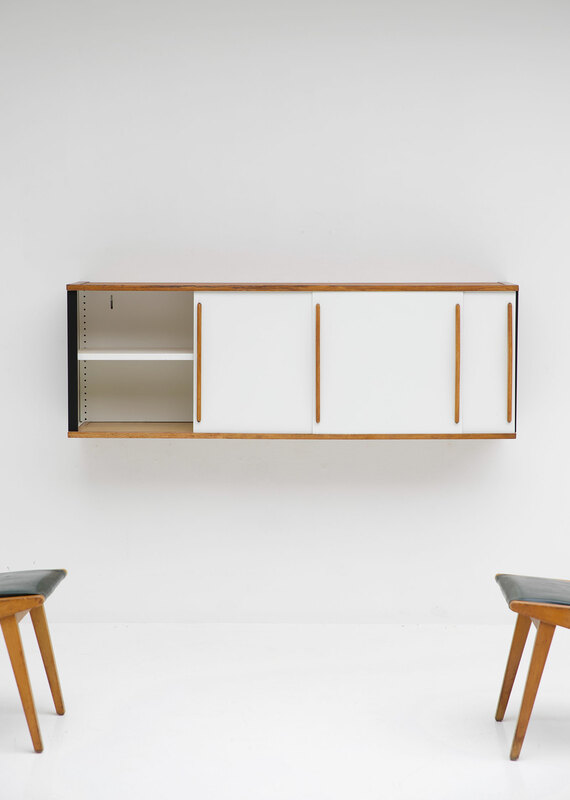 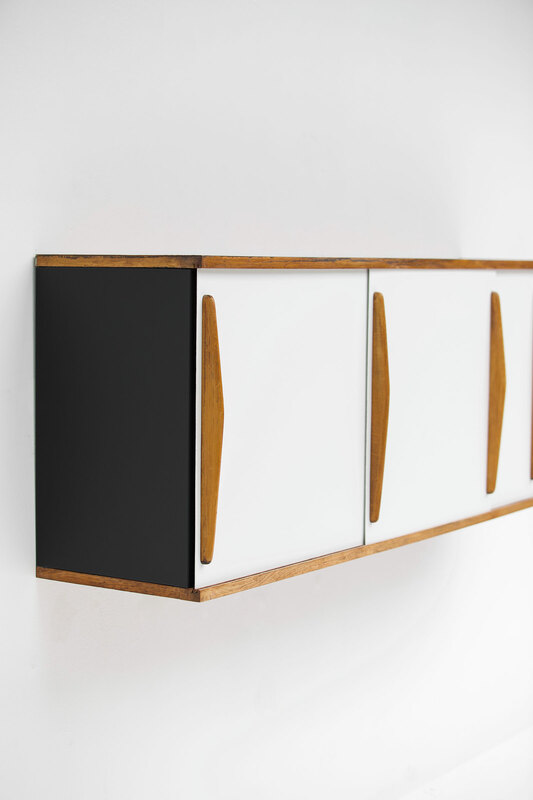 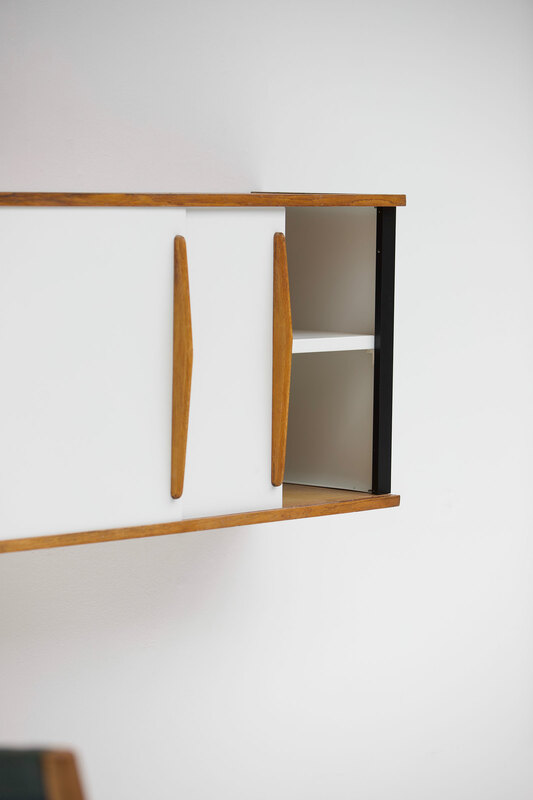 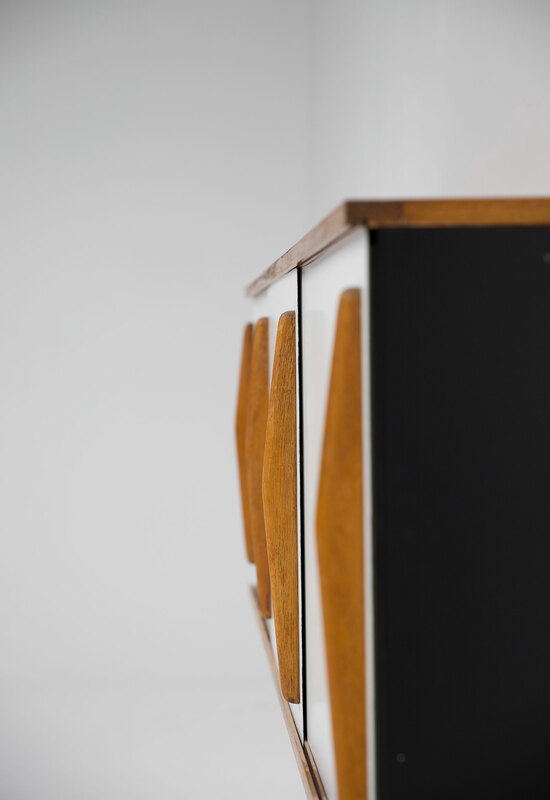 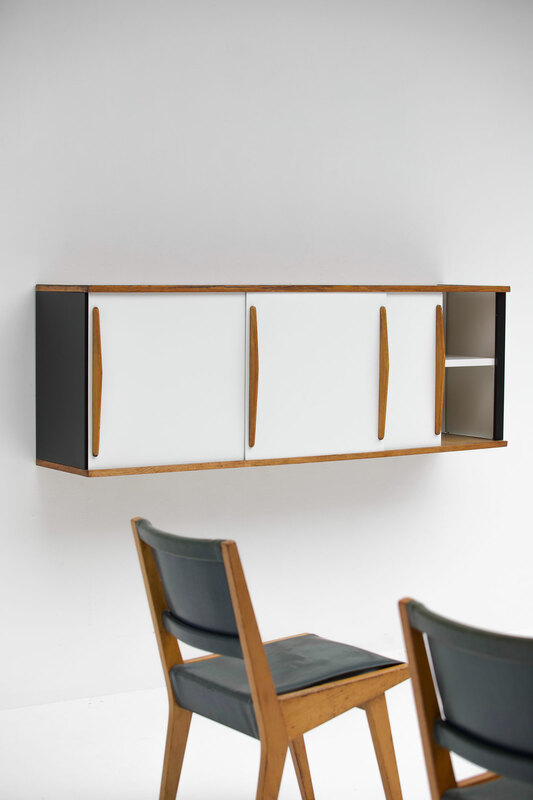 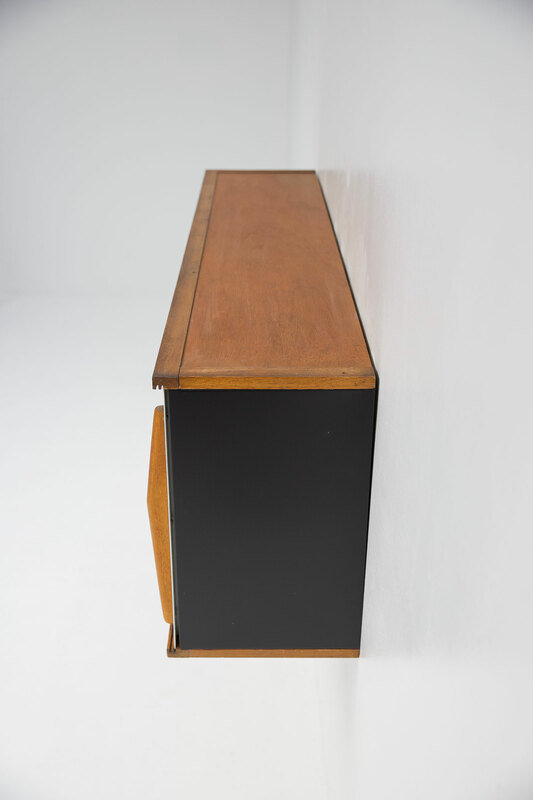 The cabinet reflects the specific style of Van Der Meeren during the 1950s. 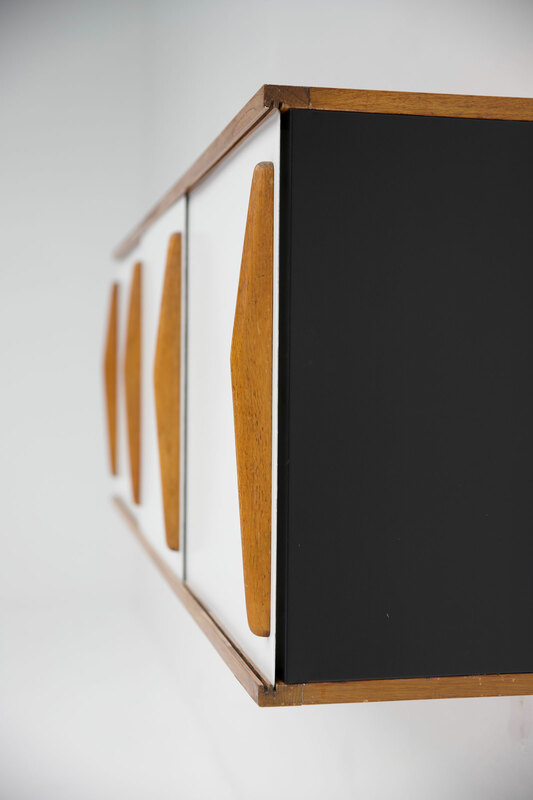 Curved lines, pure materials and a playful color use are characteristics that can be found in his furniture designs and architectural work. 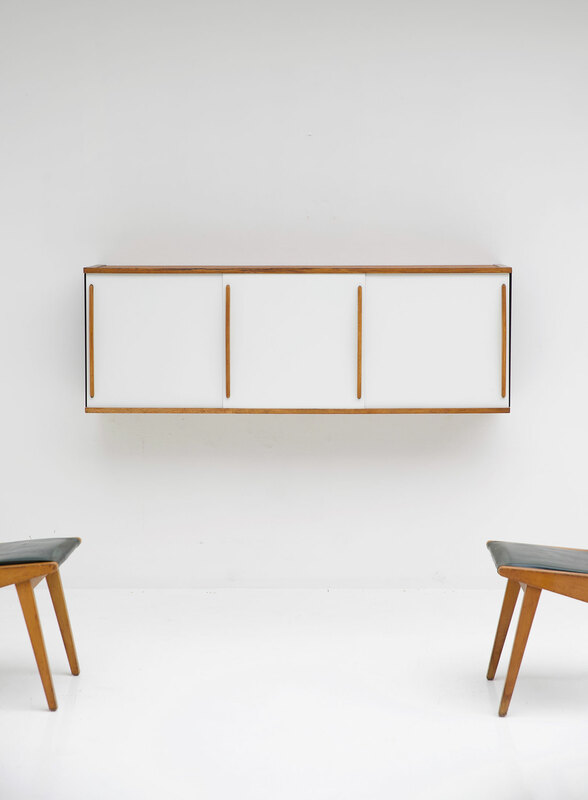 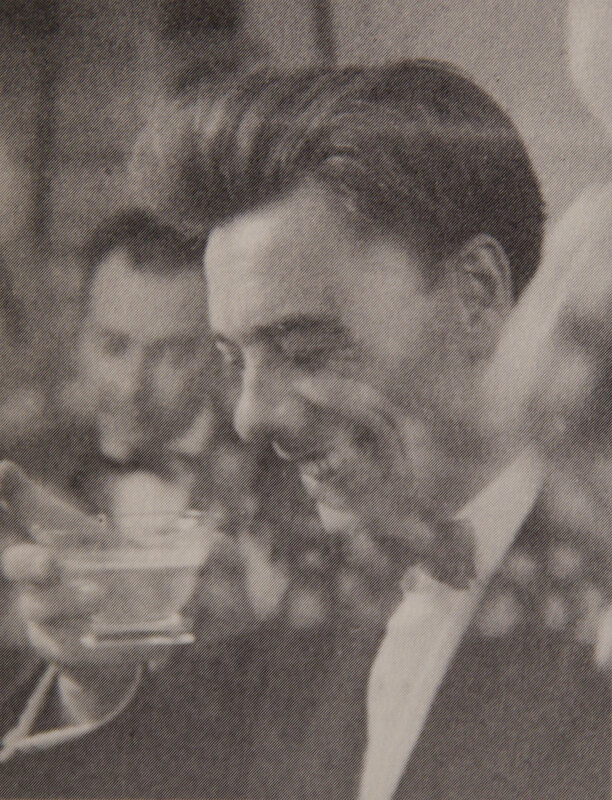 Van Der Meeren recognition started back by collectors and dealers in the late 80s. 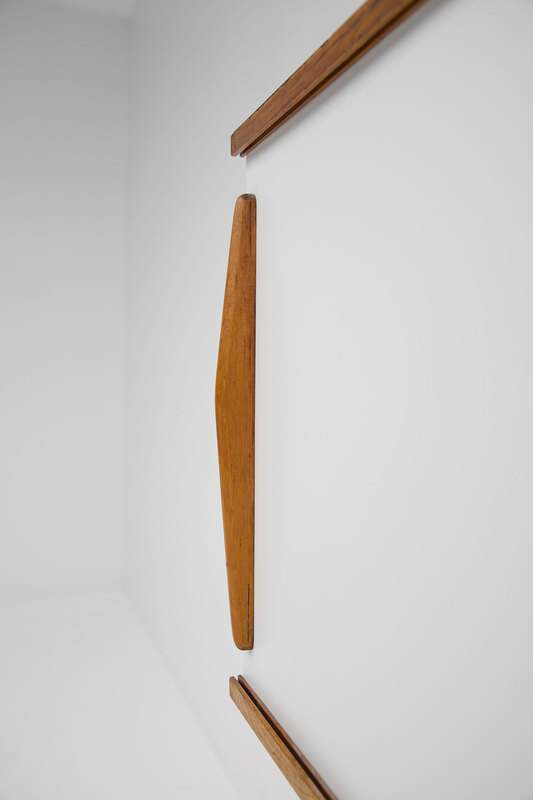 Art and design collectors Thierry Belanger, Michael Marcy and writer Mill De Kooning organized a large overview exposition in 2007 at the Atomium in Brussels, Belgium. 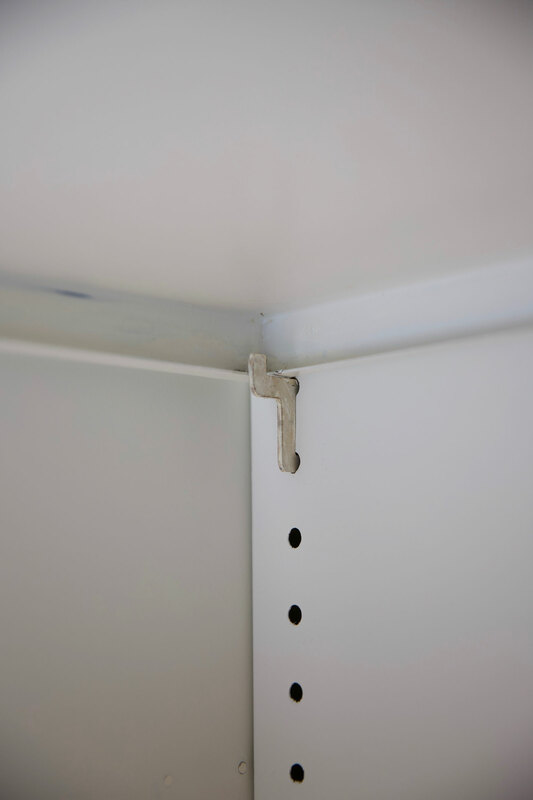 It where names like them, who leveled up the works of Van Der Meeren and put them into a spotlight.